Travel on the N25, heading East for Cork. Take exit 1 (N40 Westbound). Enter the Jack Lynch tunnel. Travel on the south link road heading west (N40). Take exit 6, signposted Togher/Airport. Take the middle lane when approaching the large Kinsale roundabout. Take the second exit following the signs for Togher (N40). Take the next slip road to the left for Togher (L2455). Take the third exit at the roundabout signposted Togher. You will pass over the South Link road on a fly-over to roundabout. Take the second exit signposted Ballyphehane (L1013). Turn left at the traffic lights onto to Vicars Road. 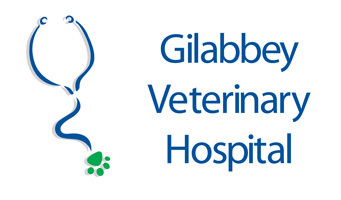 Gilabbey Veterinary Hospital is the first building on the left hand side. on the left (signposted Veterinary Hospital) before the petrol station. The hospital is at the end of this road. Travel on the N22 for Cork. This continues as the N40. Take the slip road on the left for Togher (5th exit on N40). At the mini-roundabout take the second exit signposted Ballyphehane (L1013). Travel on the N20 to Cork. At the Blackpool Shopping centre, take the North link road (R635) to avoid city traffic. Follow the signposts for South Link Road/Rosslare/Dublin. At the Moran Silver Springs Hotel turn left signposted South Link Road/Rosslare/Dublin. Take the second exit at the next roundabout signposted South Link/Dublin. Take the next slip road to the left for the South Link (N25) and Dunkettle roundabout (stay in the right lane). Take the third exit off Dunkettle roundabout signposted South Link Road (N25) entering the Jack Lynch tunnel.